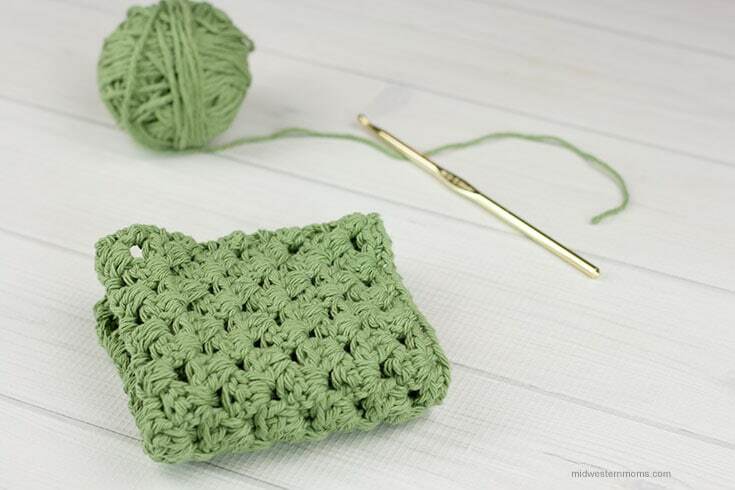 It has been forever since I made a crochet dishcloth, so I thought the time had come to make a new one. This time around, I decided to make a Granny Stripe dishcloth. 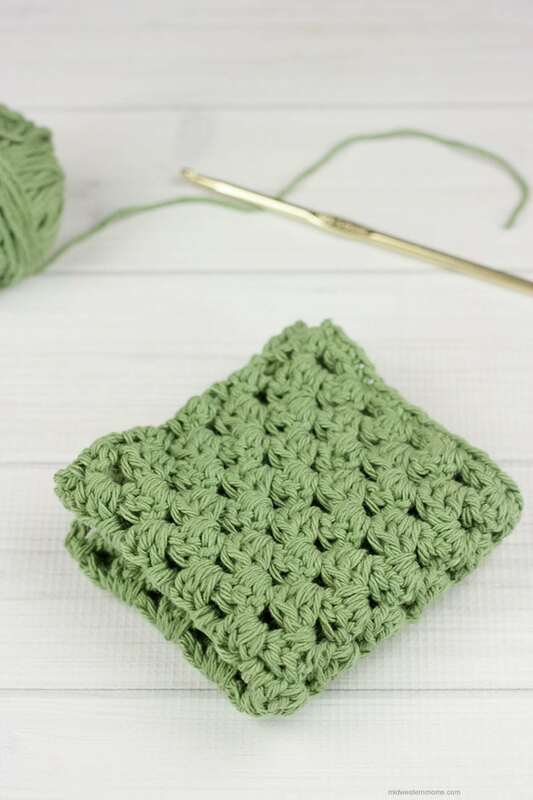 The Granny Stripe Stitch is a play on the granny square. I have yet to tackle granny squares due to the time involved in making small little squares to make a big project. Plus, I don’t have any way to block them. As you can see, the Granny Stripe uses the clusters of the granny square to create a beautiful design. I made mine all in one color; however, multiple colors would be gorgeous. 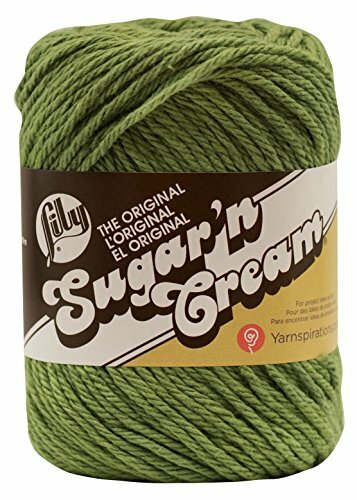 Always use 100% cotton yarn. Acrylic yarn does not soak up water like cotton does. Acrylic can also be scratchy and can possibly scratch dinnerware and glassware. 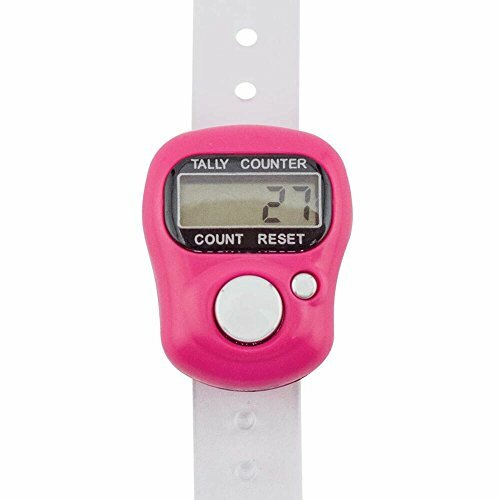 If you need help keep track of those rows, I recommend using Susan Bates Digital Row Counter. It works like a charm. 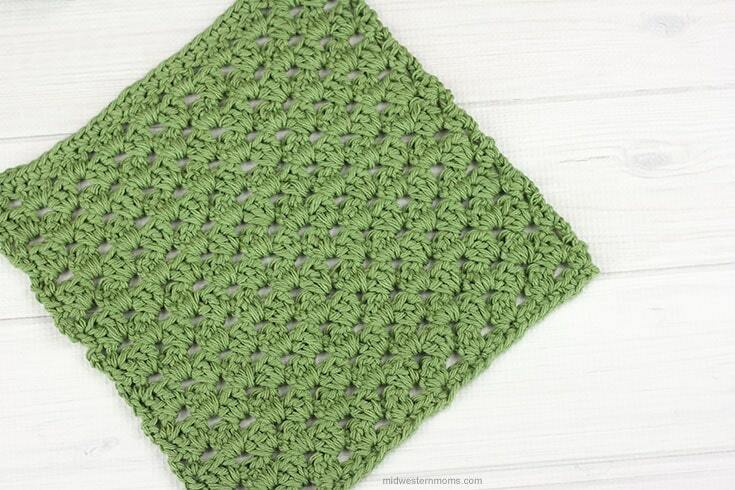 Tip: The starting chain for this dishcloth is a multiple of 3 plus 1. Should you alter the pattern, you will need to know this. Row 1: Chain1. Single Crochet in 2nd chain from your hook. Crochet 1 single crochet in every chain stitch, all the way to the end. Turn your work. Repeat rows 3 and 4 until you have 20 rows total. Row 21: Chain 1. Single Crochet in each stitch across. My dishcloth was approximately 8 inches wide by 8.5 inches tall. Put your email in the newsletter box below and email will be sent to you with a link to print the pattern. I am having difficulty with printing it. Can you assist? You need to put your email in the newsletter box that is directly under the pattern. An email will be sent with the link to print after doing that. Thank you, I thought I had but I will try. I just love your dishcloth patters. I am getting back to crochet know that I have retired and no longer work 60 to 70 Hr a week at seam like I have so much time. What a life. So Thank You so much for all help.